ICS volunteer Megan Brownrigg writes about George, a 22 year old from Namagera, Uganda, for the Huffington Post. George is one of those mates you can do anything with; swap music, natter over a cuppa and picnic-binge until you’re full. He’ll even come shopping and make sure you don’t get ripped off buying pineapples and rice. Like many 22-year-olds, George is thinking about jobs, but unlike most of us, he has no career support, because he lives in Namagera in Uganda, a village whose youth group lacks a meeting place. 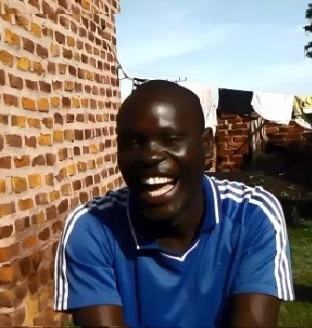 Having just spent three months volunteering for the youth-development agency Restless Development in Uganda, as part of my International Citizen Service, it didn’t take long to realise that people like George could gain buckets from having the guidance of an established youth group. In English universities we have the arduous task of choosing between the salsa, strawberry or skydive society in Freshers’ Week, as well as a rite of passage to a careers’ centre which is usually ignored until the finalist ‘HOW haven’t we been there yet?’ panic. In Uganda however, a country with the highest rate of youth unemployment in Africa, young people can struggle to find one room to meet in once a week to discuss their issues. Click here to continue reading the full article on the Huffington Post.